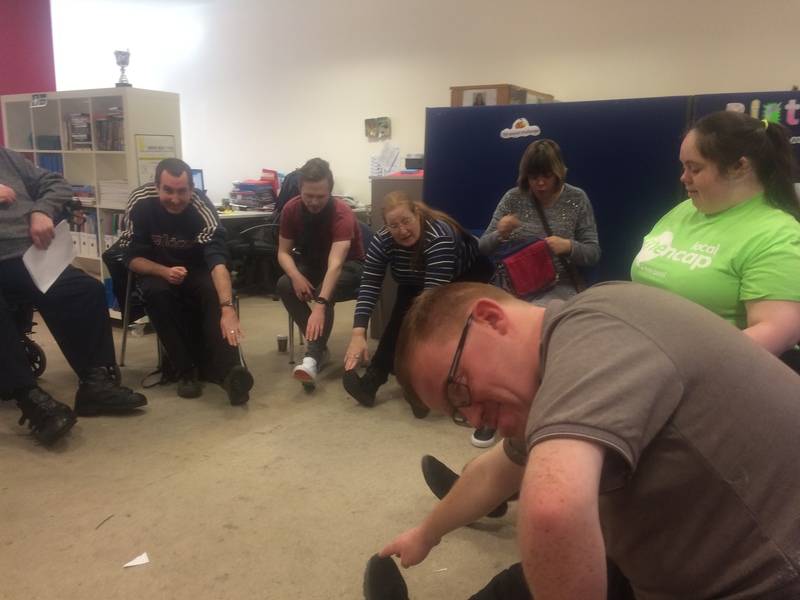 I was asked to lead a chair exercise session at Mencap Liverpool’s Wednesday social. I had to think about the exercises that I would teach to the group and make sure that these would be ok for all of the group members. I picked the music and gave a list to Charlotte so she could get this ready before the session. I started off with a warm up and showed everyone how to do this. I then went through the exercises I had planned, showing people what to do and then getting them to join in. If anyone needed any help I was able to help them. It was very lively and fun and I really e njoyed leading the session. I asked the members if they enjoyed it, Jess told me I had done a fabulous job and Ann Marie, Emma and Adam all enjoyed it and said I did a good job. I am proud of myself and I would like to run another session.